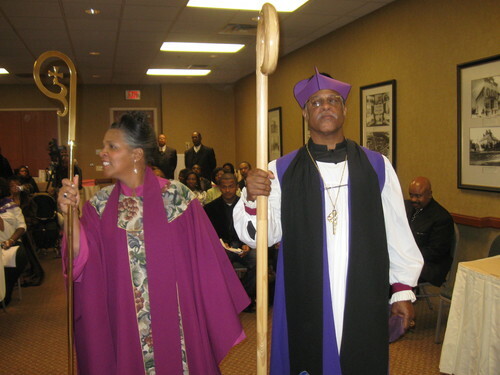 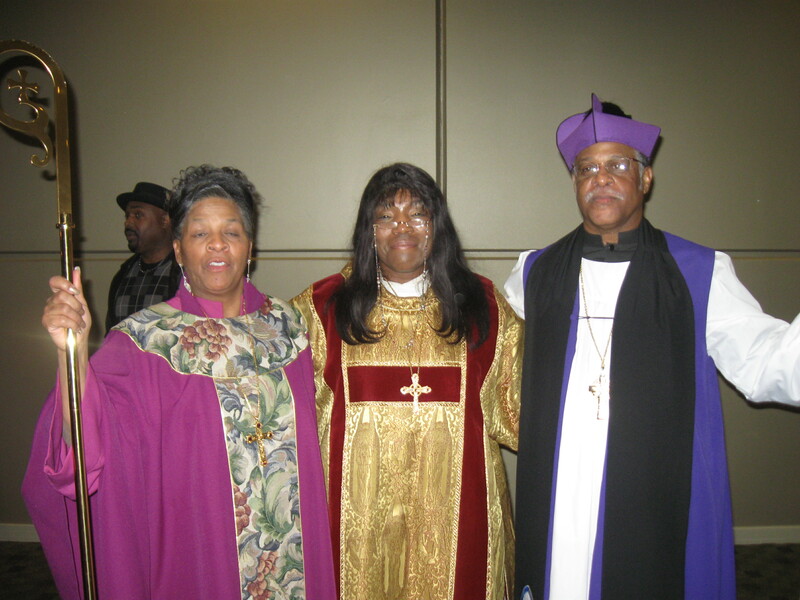 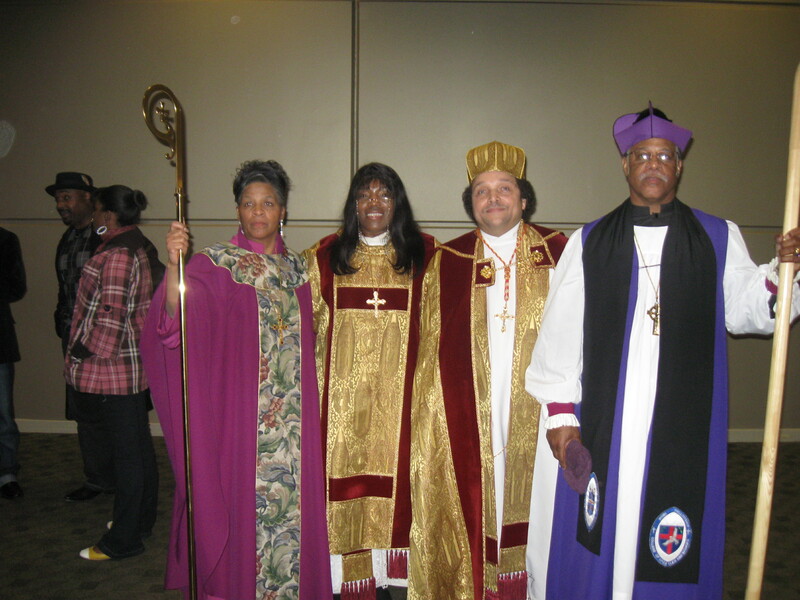 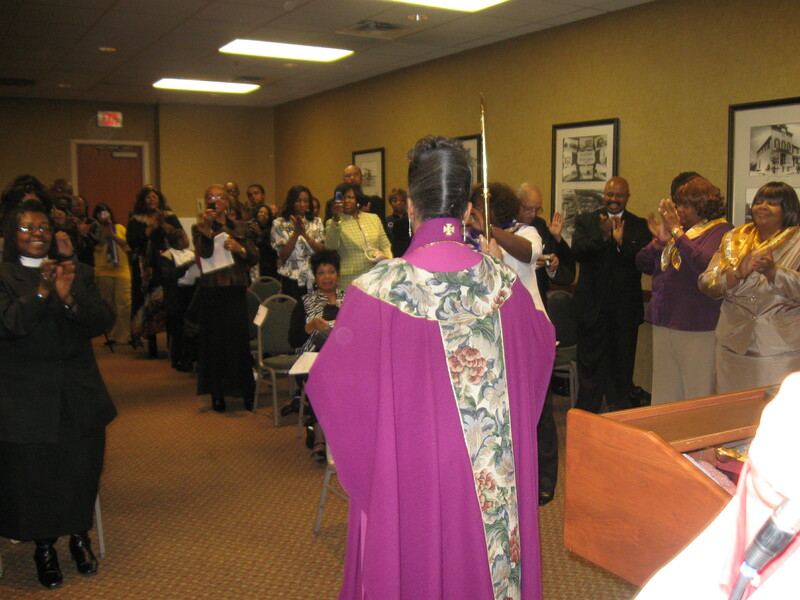 The Apostolic Celebration and Episcopal Consecration of Pastors Rhonda and DeArmond Mathews, Jehovah Jireh Ministries and Reaching Out In His Love Ministry. 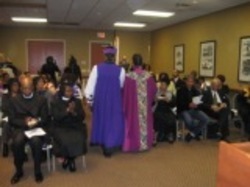 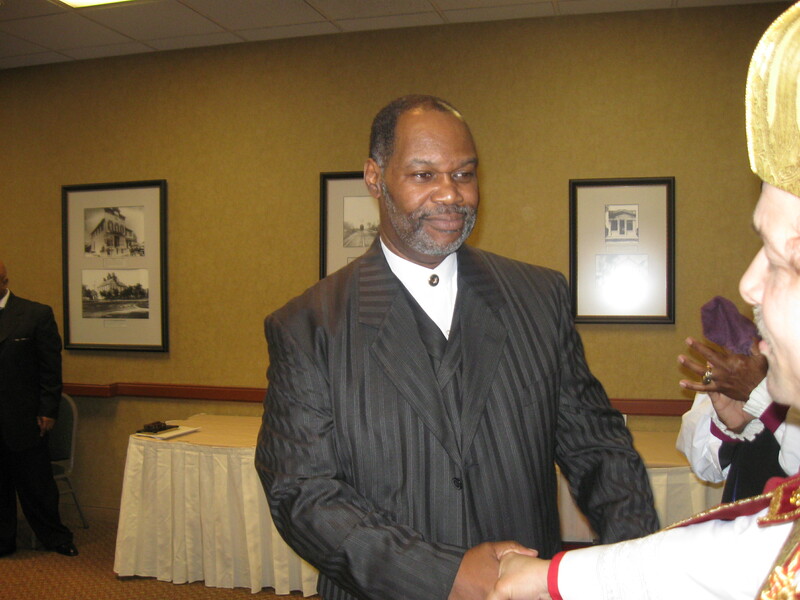 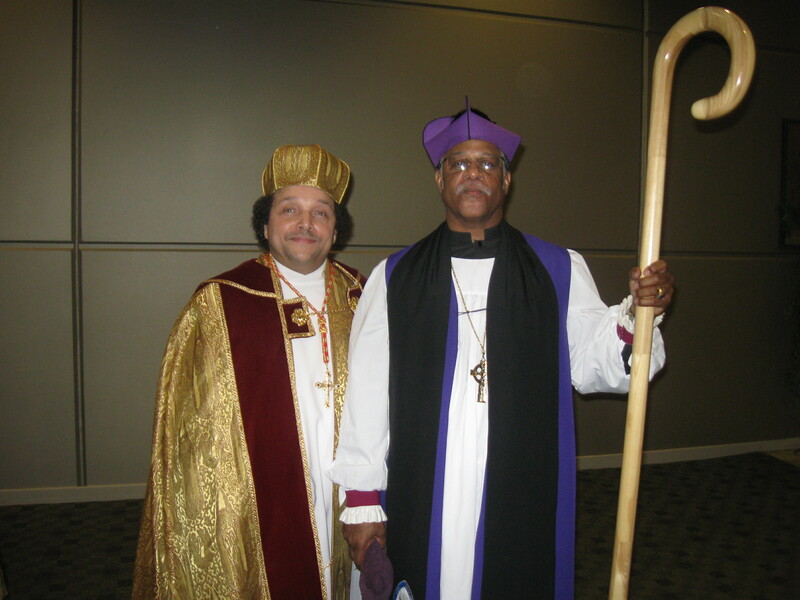 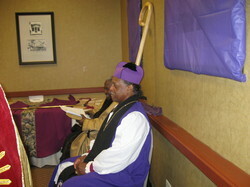 Apostle Duane Jeffrey Sherman, CDCMF Presiding Prelate and Bishop De Armond Mathews, Jehovah Jireh Ministries. 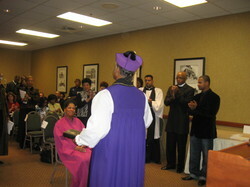 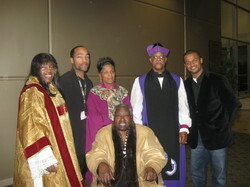 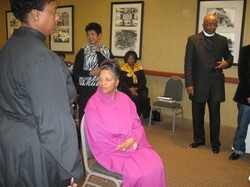 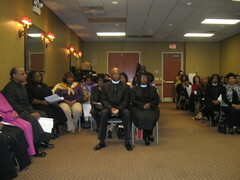 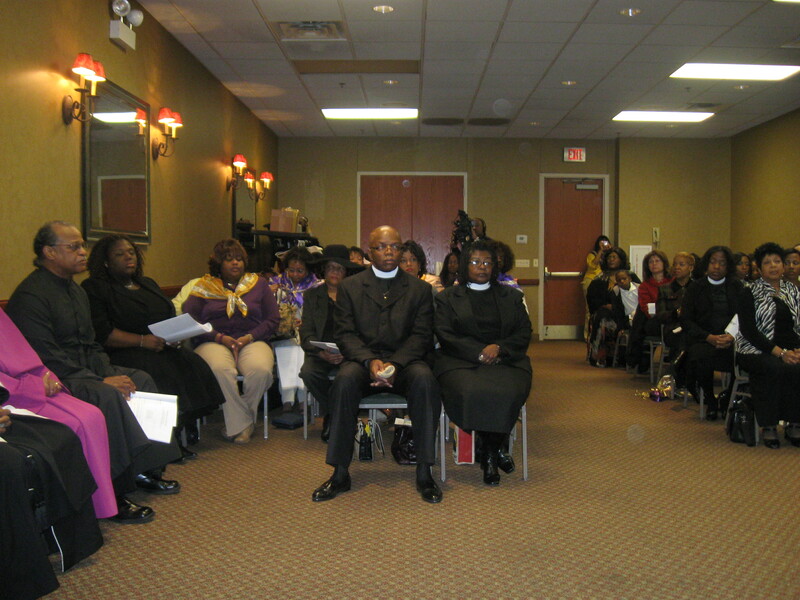 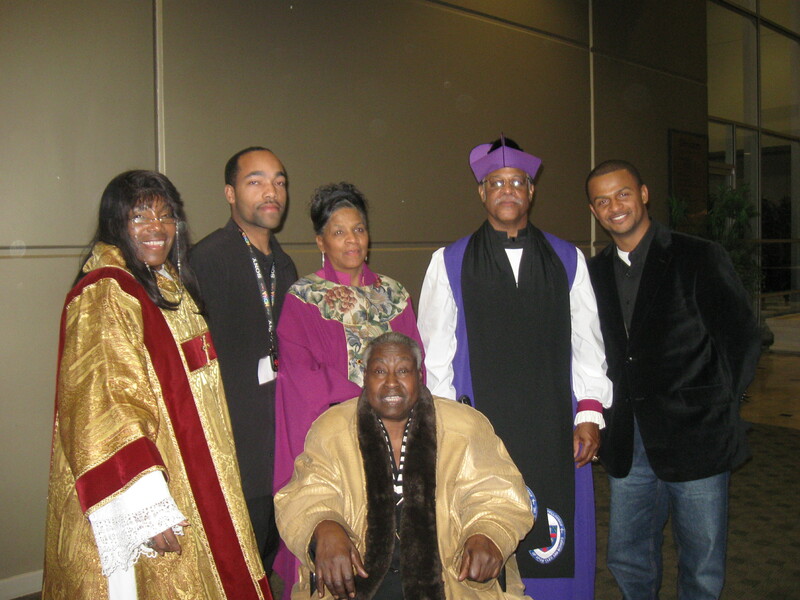 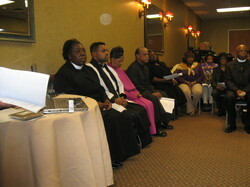 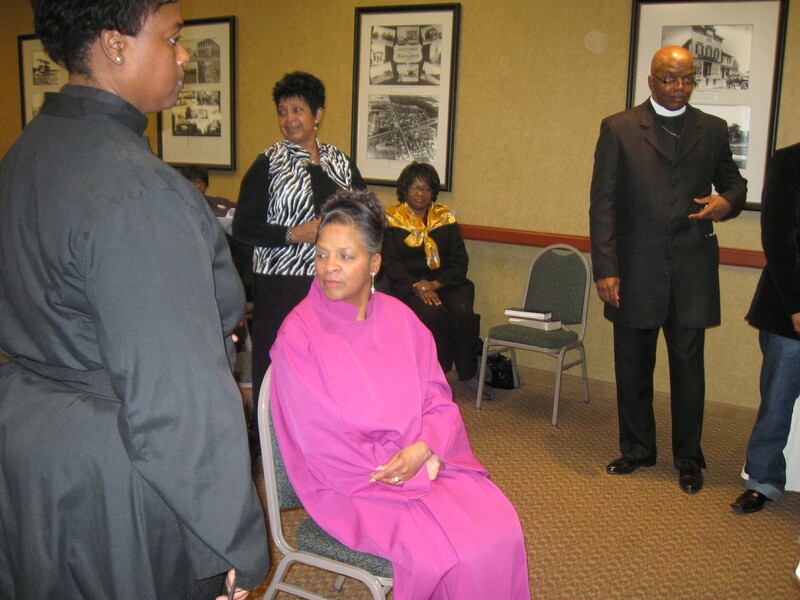 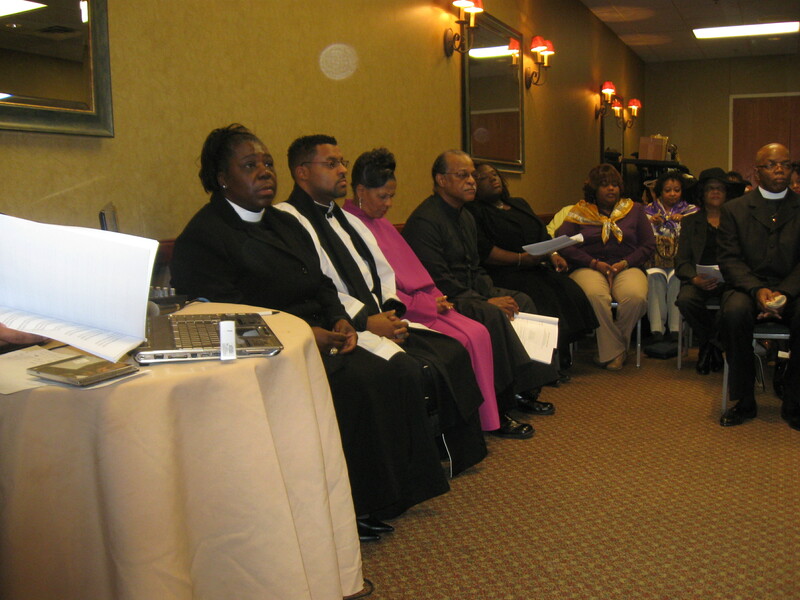 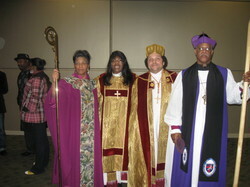 Apostle Dr. Carol Sherman, Prophet Dr. T. K. Sherman, Apostle Mathews, Bishop Mathews, DeArmond Mathews, and Apostle Janice Agnew (seated).